Home / Science / Analysis questions the idea that life requires a "clone of the earth"
Analysis questions the idea that life requires a "clone of the earth"
The scientific community has widely believed that planets covered in a deep ocean would not support the cycle of minerals and gases that would keep the Earth's climate stable and thus not life-friendly. The study, published in The Astrophysical Journal on August 30, found that ocean planets could remain in the "sweet spot" for habitability for longer than previously thought. The authors base their findings on more than a thousand simulations. 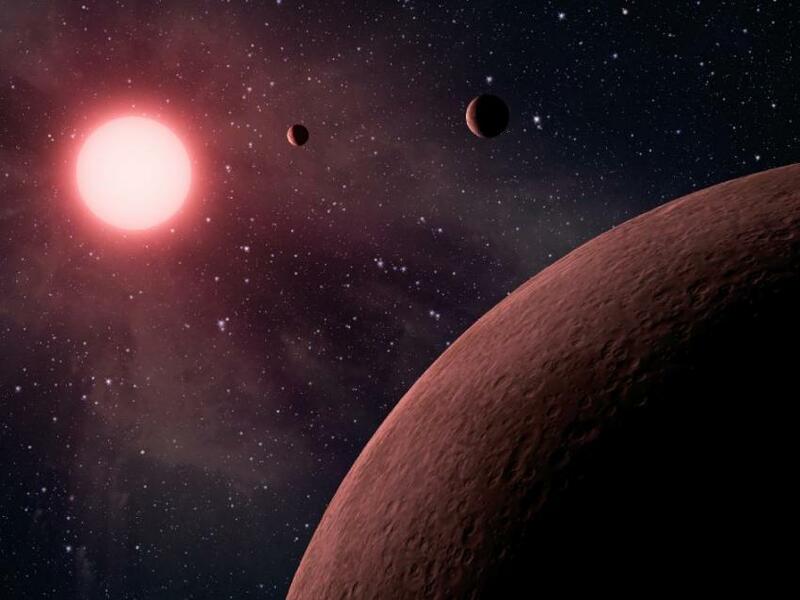 1; that is, a planet with some land and a shallow ocean," said Edwin Kite, assistant professor of geophysical sciences at UChicago and principal author of the study. As telescopes improve, scientists find more and more planets orbiting stars in other solar systems. Such discoveries lead to new research into how life could possibly survive on other planets, some of which are very different from Earth – some may be completely immersed in water hundreds of miles deep. Because life requires longer development time, and because the light and heat can change to planets as their stars age, scientists usually look for planets that have both some water and a chance to keep their climate running to keep the time stable. The primary method we know is how the earth does it. For long periods, our planet cools down by breaking down greenhouse gases into minerals and heating them up by releasing them through volcanoes. But this model does not work on a water world, with deep water that covers the rock and suppresses volcanoes. Kite and Penn State co-author Eric Ford wanted to know if there was another way. They created a simulation with thousands of randomly generated planets and tracked the evolution of their climate over billions of years. "The surprise was that many of them remain stable for more than a billion years, just by the luck of the draw," said Kite. "Our best guess is that it's on the order of 10 percent of them." These happy planets are sitting in the right place around their stars. They happen to have the right amount of carbon, and they do not have too many minerals and elements from the crust that are dissolved in the oceans that would pull carbon from the atmosphere. They have enough water right from the beginning and they only move carbon between the atmosphere and the ocean, which in the right concentrations is enough to keep things stable. "How much time a planet has depends essentially on carbon dioxide in its early years divided between the ocean, the atmosphere and the rocks," said Kite. "It seems there is a way to keep a planet habitable for a long time without the geochemical cycle we see on Earth." The simulations took on stars like ours, but the results are also optimistic for red dwarf stars, Kite said. It is believed that planets in red-dwarf systems are promising candidates for the promotion of life, as these stars are brightened much more slowly than our sun-giving lives. The same conditions that were modeled in this article could be applied to planets around red dwarfs, they said: Theoretically, all you would need would be the steady light of a star.